I requested the support and technical assistance of FUNDAP for my tomato crop project, and now I am convinced that it is a profitable crop, since I am making profits and I am paying the credit that I obtained for the construction of my greenhouse. We are a FUNDAP program that was constituted in 1996, and provides training services and quality agricultural technical assistance, with agroecological and business approach, use of alternative technologies, promotion of agro-industry, and adaptation to climate change, aimed at communities, organizations and poor rural families, to improve their standard of living. We promote food security and sovereignty to increase the income of producers through agricultural production. We support beneficiary producers of the projects we execute with: productive technical assistance, diversification of agricultural production, demonstration plots, agricultural infrastructure (greenhouse production), business and productive training, agricultural social organization, agricultural technology transfer, use of alternative technologies, promotion of agribusiness with an agroecological business approach, and adaptation to climate change. • Stimulating and favoring the social organization of agricultural producers as a means to achieve self-development. • Improving the agricultural productive capacity to achieve food security and sovereignty of its beneficiaries. • Achieving the diversification of production through innovation and technology transfer. • Linking the production of the beneficiaries to the different markets. The supported area has an extension of 29,989 Km2, which represent 27.53% of the national territory. Consists of training members of the beneficiary communities (men and preferably women and young people) with a systematized program of agricultural and environmental knowledge, during a period of 8 months that includes theoretical and practical training with community agricultural extension, in order to turn them into agents who can replicate the training at the community level. Consists of supporting producers interested in organizing themselves to collectively overcome their production and marketing problems. Subsequently, the project supports the strengthening of organizations to meet their founding objectives. 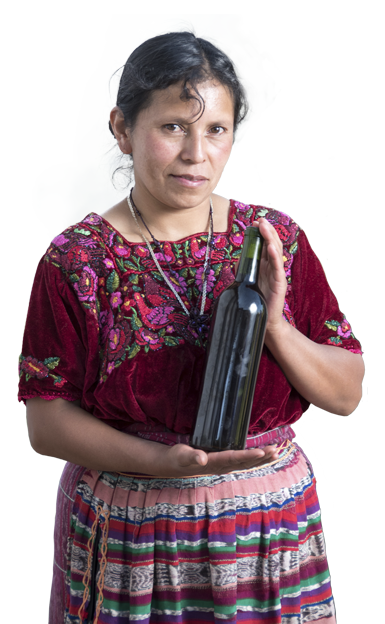 Consists of supporting producers with training and technical assistance actions, in search of the improvement of production processes and agricultural diversification, promoting organic agriculture and food sovereignty. Consists in linking the producers to new and existing markets, in accordance with the characteristics of the producers and the volumes of commercial production, as well as supporting the planning of production according to demand. Consists of supporting producers with the implementation of soft technologies aimed at increasing agricultural productivity, such as: Plasticulture (production under greenhouse, use of plastic mulch, drip irrigation), medication, organic fertilizers and fungicides, good agricultural practices, sheds for oyster mushroom production, use of improved varieties, etc.